The Game System API: includes a HUGE sweet of inter-operating technologies. Easy to learn: Intuitive, readable, with good examples & documentation. Easy to use: Single entry point, KISS, adopts common standards, & has its own consistent language. Hard to misuse: Explicit error message suggesting parameters values & strong typing. Audience-appropriate / Sufficiently Powerful: Meet current needs as the top priority, but be (invisibly?) flexible for the future. CollectorsQuarry: Add game-specific achievements. View collections in-game or via HTML-based dashboard. DebuggerUtility: Logger, framerate montior, & memory management monitor. DeliverScore: Connect with server to deliver score, progress, and related variables. DynaFont: Load and cache hefty font-outline files for reuse between all games. EncryptAVar: Developers thwart would-be-hackers with run-time, client-side encryption for score, progress, and related variables. GameTemplate: Portable superclass for each new game with centralized access to game system API. LocalizeIt: 100% of in-game graphics (e.g. artful logos) and display text is delivered per-spoken-language. Game developers work comfortably in English and translators convert the externalized text via content management system. Includes text and embedded font support for English, Spanish, Portuguese, Dutch, German, French, Italian, Chinese (simplified & traditional), Korean, Japanese. PersistAVar: Developers easily add persistence (e.g. customizable key settings, was sound muted or not) within the game. Both client-side persistence and server persistence are available - each with unique strengths for the user experience. ToggleLock: Users permanently unlock in-game content based on personal in-game progress (e.g. you earned 100 points), social in-game progress (100,000 total users played the game), or out-of-game progress (1,000,000 total users signed-up to the site). WordsPlus: Complete client-side dictionary for procedurally generated text-puzzles, spelling games, and Scrabble-type level design. Role: I built a proprietary game system AS3 API & platform. The client explained use cases and technical limitations (legacy platform considerations). I completed all programming and development (AS3), and collaborated with internal staff for the backend's PHP & DB Development. Flash Player for browser. 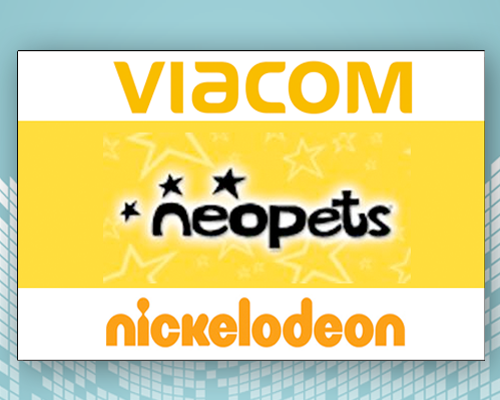 Released on Neopets.com (NP) for use by NP developers and select 3rd-party developers.